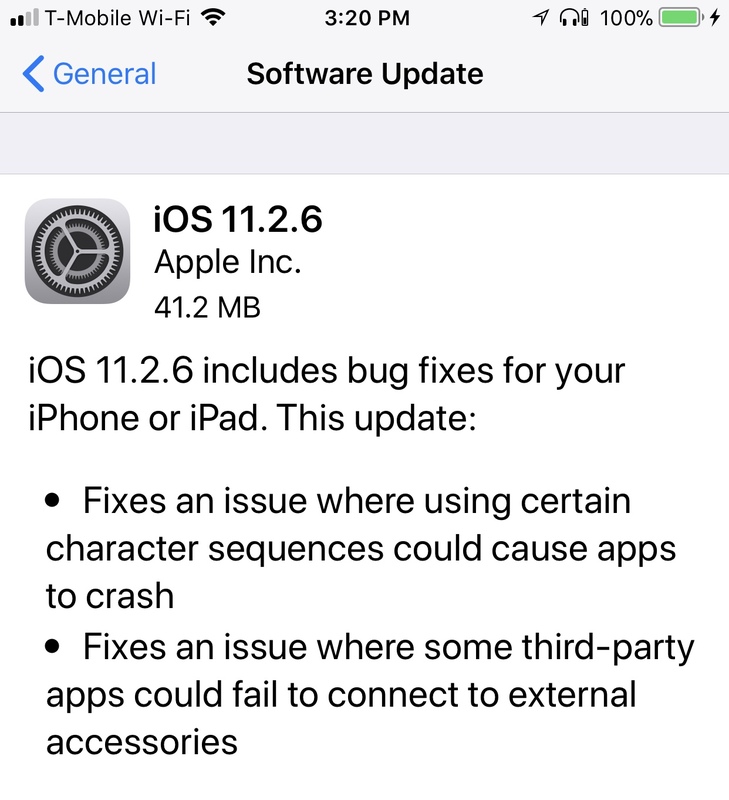 As expected, Apple on Monday released updates to iOS, macOS, watchOS, and tvOS, which all contain a fix for the Telugu bug which crashes devices when an Indian language character is received in certain apps. The updates, iOS 11.2.6, macOS High Sierra 10.13.3, watchOS 4.2.3 and tvOS 11.2.6, were all release on Monday. The updates fixes an issue where users who received a certain Telugu character in the Messages app, as well as other apps that accept text, including Messages, Safari, WhatsApp, Facebook Messenger, and others, would see the app freeze. The app would then be unable to function normally until the rogue character was deleted by deleting the conversation with the user that sent it. Apple acknowledged the issue and announced beta versions of iOS 11.3 and macOS 13.13.4 fixed the problem. The Cupertino firm promised patches to fix the problem as soon as possible. Monday’s updates contained the promised fixes. Monday’s iOS update also contained a fix for a bug that caused some third-party apps to be unable to connect to external accessories.